A DAY AT THE BEACH is an 18” x 24” Unframed oil canvas panel. 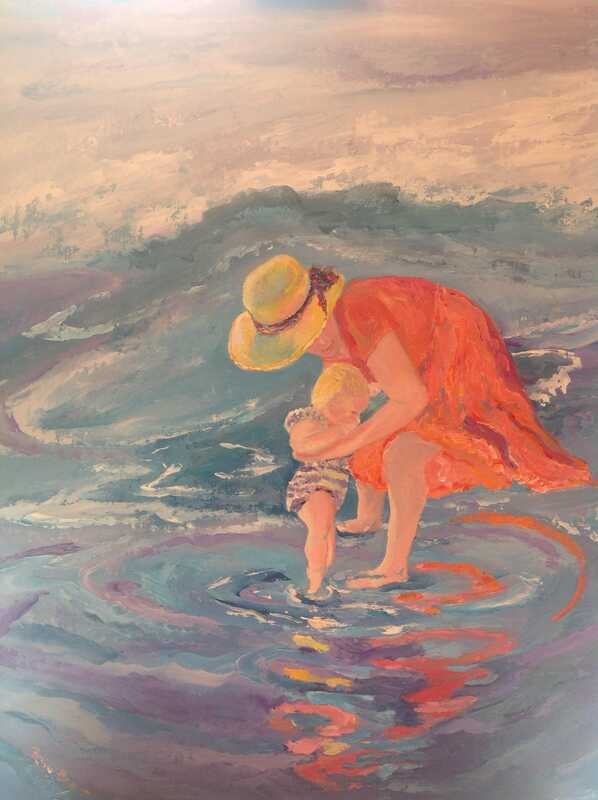 This is a fun, whimsical painting of a mother holding her daughter in the water. The water is so cold, the baby's toes are curled. The woman is wearing a large straw hat and a bright pink dress. The sweet baby girl is wearing a striped bathing suit. The ocean is an impressionistic mix of blues, pinks, lavenders, and greens. This is a playful painting that brightens up any room. 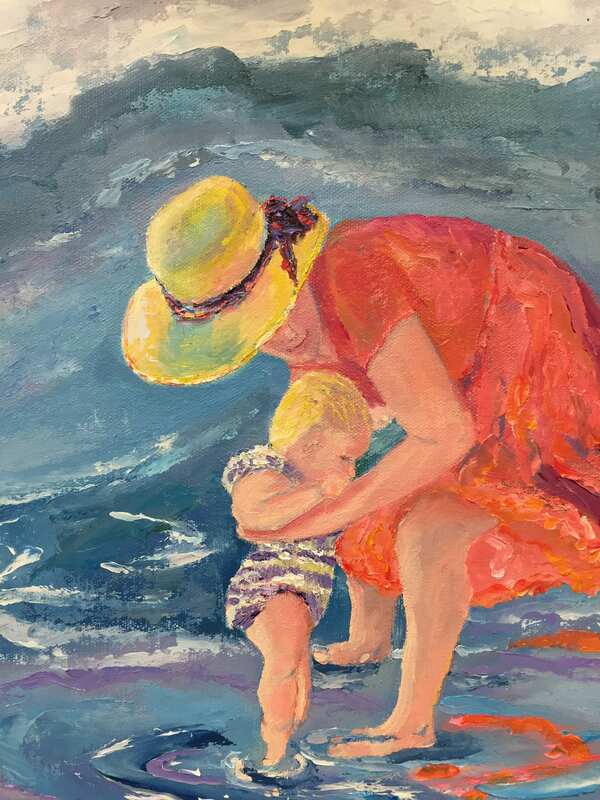 This is a wonderful painting for a girl's room, a nursery, or a Mother's bedroom. The brightness of the painting will set off any room you put it in. This is a very fun bright painting. 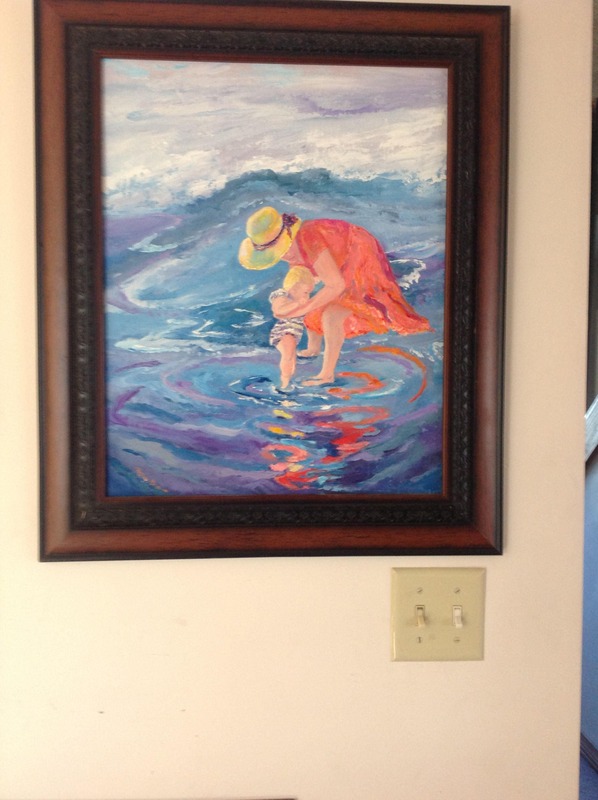 One of the pictures shows what the painting looks like framed. A gold frame makes the painting pop. 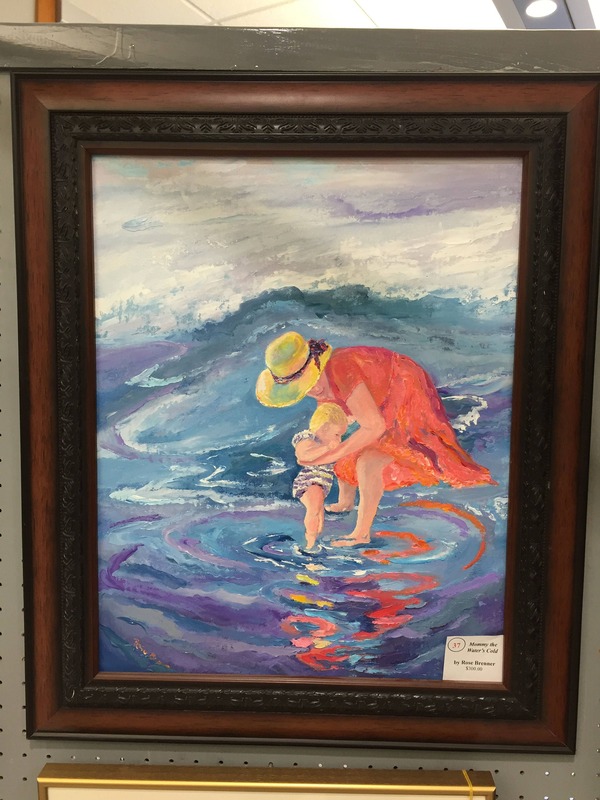 A frame is NOT included in the price of the painting. But, if a frame is wanted, please email me and a revised price can be negotiated.